Colombia’s Congress will investigate contracts between former British Prime Minister Tony Blair and the country’s government, following news that Blair’s ties to the United Arab Emirates could constitute a conflict of interests. At the root of the controversy surrounding Blair is his role advising the Colombian government regarding the management of profits from “controversial” mining operations, as was reported by English publication The Sunday Telegraph. The newspaper claimed that simultaneous loyalties with the government of the United Arab Emirates are profiting Blair through his firming of mining contracts on behalf of the UAE. 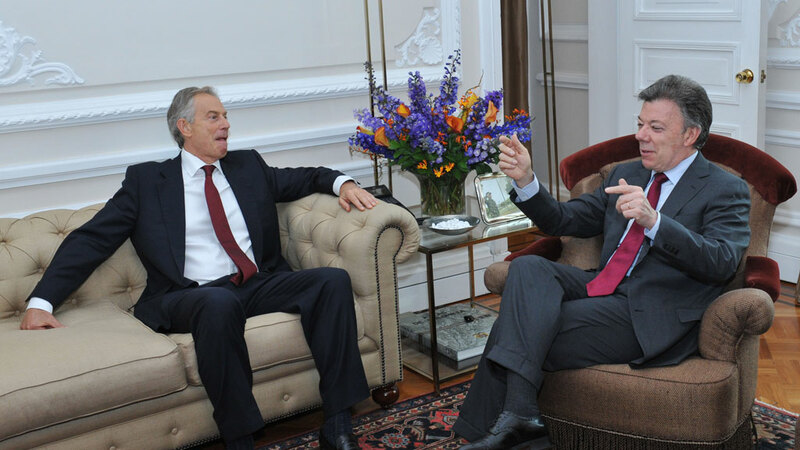 Blair’s arrangement with the Arabs means that the former Labour Party politician can place his teams on the ground worldwide and not have to request payment from impoverished governments, as Abu Dhabi provides the funding. Colombian news source El Espectador reported on Tuesday that details of the formerly confidential contract will be revealed to rectify the confusion, in an agreement made between the Colombian government and Blair. Leading the debate is the leader of the opposition Conservative Party, Senator David Barguil, who questioned the government’s claim that Blair’s advice is costing Colombia nothing and asked for clarification. “We have decided to call a debate of political control so that, with total clarity, we can establish the participation of ex-prime minister Tony Blair in business surrounding mining operations granted to Arab companies that he represents, and so that we understand the financial contract between Tony Blair and the Colombian government,” stated Barguil. The Conservative politician said that the debate is necessary as an explanation given by the Minister of the Presidency Nestor Humberto Martinez on Monday was not sufficient. “Tony Blair has not received a single dime from the national government,” the official told Blu Radio. “No agreement of this kind has been signed with the Presidency of the Republic, nor has any government entity signed an agreement in which treasury resources are paid to Tony Blair,” said Martinez. Barguil insisted that more detail is necessary to understand the nature of the relationship. “It was said at the time that it was free advice, and today we come to know that there were economic and business interests of the Arabs represented by Tony Blair in Colombia and that through these businesses the advice was financed with our government,” the Congressman stated. “These facts have to be clarified and we are going to hold a debate of political control so that the country knows and we get to the bottom of this,” said Barguil. Although no date has been set for the debate, the Congressman said that the officials from the Department of National Planning will be in attendance. “We are going to call officials of the Department of National Planning, headed by its current Director Simon Gaviria, and its former-Director Tatiana Orozco,” Barguil explained. “Additionally, the Head of the Agency of Cooperation, and, of course, the mining sector, to be clear if behind this supposedly free advice were economic interests that led to grant mining rights to Arab companies represented by the ex-prime minister, who financed the advice to the government,” stated Barguil.